Lazar is a new name in the Bulgarian contemporary music scene. Born in a family of musicians (Mom – an opera singer & vocal teacher; Dad – a folklore performer & lyricist) his interest in music started in a very early age. His performance charisma, natural personality & magnificent voice allows him to conquer easily the attention of both audiences & medias. During his teenhood he studies in the English Language High School “William Shakespeare” in Sofia. After he graduates with excellent results he faces the dilemma, whether to study English Philology or to persue his childhood dream – to be a singer. Music prevails. He succesfully passes the exams in the National Music Academy and he studies “Pop & Jazz Singing”, where he is taught by the top music teachers in Bulgaria, which gives him a chance to develop his unique talent. 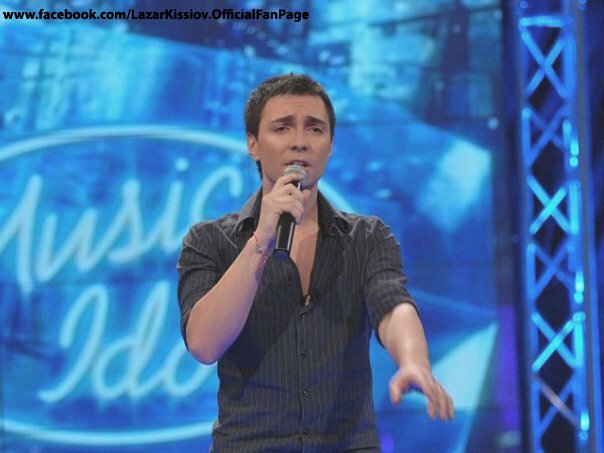 Lazar participates in many concerts, TV shows & festivals. He takes part in the Bulgarian edition of the most popular reality show around the world -„Idol” where he competes with many talented singers. He does not reach the top places in the show, however that does not stop him to continue the pursuit of his dreams. „Music Idol” gives him just the first step. Lazar also represents Bulgaria in many festivals and contests. Besides his singing desire he appears to be a talanted composer & lyrics writer as well. He participates in the International Music Festival „Euro Pop Song Contest” 2007 along side with some of the best singers in eastern Europe – Zeljko Joksimovic, Tose Proeski, Maria Serifovic – where his first song „Why”, which he writes and produces receives the award for best music. He also takes part in festivals in India, Croatia, Holland, Romania where his participation is acknolaged either with awards from the audience, or with 1st places for musical performance. His 2nd radio-single „Alea” is the song that gets the attention of the radios and the medias all around the Balkans. After that he writes „I’m Alive”, „You’re Not Alone” (entry for the Bulgarian Eurovision) and his latest single „So Far Away”.